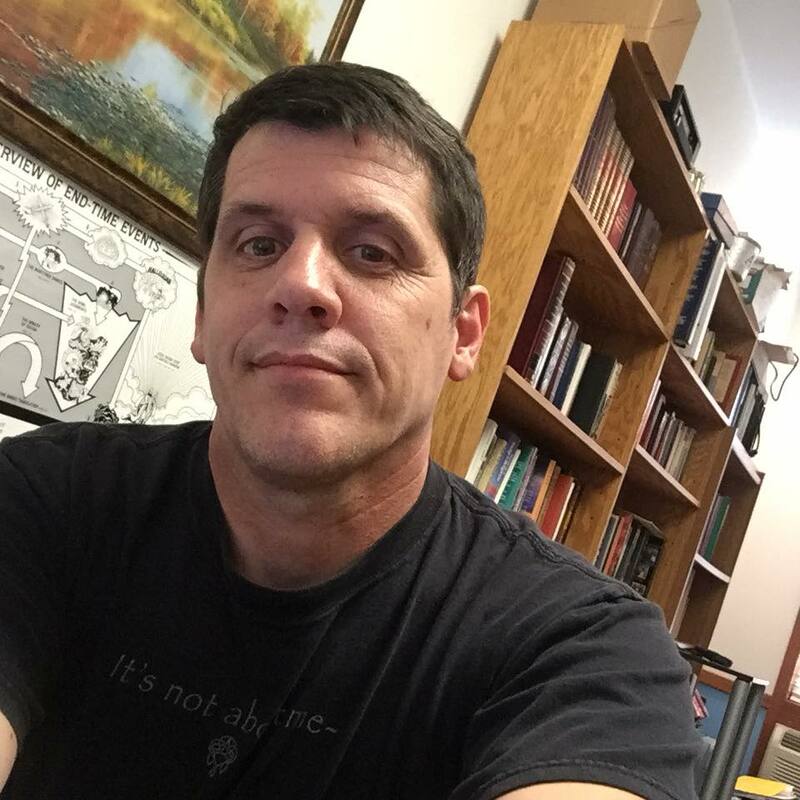 The Genocidal God of the Old Testament – Brian Ingalls, M.Div. To be sure, some of the commands given by God in the Old Testament are harsh in their treatment of others. They sometimes command the destruction of entire peoples, including the women and children. How can this be reconciled with the idea that God is love, or that God forgives? It has led Dawkins and others to characterize the God of the Old Testament as genocidal. Nevertheless, it remains apparent that an Almighty Creator would certainly have the ability, and the right, to exercise some level of authority over that which He has created. In fact, any God who can create such a vast and complex reality as this universe, certainly may also behave in ways that human beings might occasionally struggle to comprehend. The apostle Paul alluded to this in Romans: “Who are you, O man, who answers back to God? The thing molded will not say to the molder, “Why did you make me like this,” will it? (Romans 9:20, NASB). The mere fact the Bible records events that are difficult to come to terms with, does not exclude them from being true. Neither does it exclude human beings from misinterpreting those events. Perhaps however, a better understanding of God’s behavior in the Old Testament could bring the picture of the Creator into clearer, more realistic focus. As C.S. Lewis wrote, “If God is Love, He is, by definition, something more than mere kindness.” This brief article argues that the harsh stories of war and judgment in the Old Testament, may be the clue to what that “more” is. God’s judgements are certainly terrible, but such judgments remain an understandable action by the eternal, holy, and loving Creator of the Bible. The inspiration of the Scriptures cannot be rejected on this basis. In order to make any assessment on the character of God in the Old Testament, it is helpful first to examine the ancient context. The Scriptures invoke two main images, that of God driving out the nations, and that of God destroying the nations, sometimes including women, children, and animals. Christian apologists, such as Paul Copan, have emphasized that “the conquest of Canaan was far less widespread and harsh than many people assume.” Their effort is to downplay the genocide. Two points stand out as central to this argument. The first is that the Old Testament Scriptures purposefully overstate the number and categories of people killed, and the second is that the traditional view of a dramatic, large-scale ethnic cleansing is not supported by the record in Scripture. The Old Testament does indeed seem to occasionally overstate the results of a battle, using the same custom of hyperbole found in written records during the same time period. After pointing out the practice of exaggeration by other ancient military accounts, Joshua Butler notes, “The Old Testament itself makes clear it is using hyperbole…we only have to go a little farther in the story to find the same enemies (that were supposedly wiped out) are still very much alive, still very powerful, and still causing problems.” Copan argues the vocabulary used by typical military accounts during the time period is more akin to reading a figure of speech. “The sweeping words ‘all,’ ‘young and old,’ and ‘men and women’ were stock expressions for totality, even if women and children weren’t present.” As will be shown, this is difficult to apply to every instance in the Old Testament, however. Secondly, it is argued that there was no large-scale destruction in Palestine. Instead, Israel gradually pushed out the occupants of Canaan. One scholar notes, “The reports of battles in the book of Joshua make no claim that these cities were possessed upon Israel’s entry into Canaan…Joshua’s campaigns in Cisjordan may well have been only raids or responses to those who resisted Israel’s growing presence.” Butler adds, “This is not an overnight ejection but a gradual eviction.” In fact, both Joshua 13:1 and Judges 2:3 specifically describe the Canaanites as a significant presence in the land even after Joshua’s campaigns had long come to an end. These efforts to mitigate the severity of the conquest of Canaan, however, ultimately fail to address the primary problem that God Himself appears to command genocidal actions at least some of the time. Dawkins notes “his orders, for example in Deuteronomy 20, are ruthlessly explicit.” It is likewise hard to explain the scene of Moses and his commanders when Moses asks, “Have you spared all the women?” (Numbers 31:15), and proceeds to order the killing of all the male children along with most of the women, sparing only the virgins. “All this is terrifying stuff,” writes Dinesh D’Souza, “Gore Vidal calls it Bronze Age morality, and whether or not we agree with this characterization, it seems a morality utterly unsuited to our way of thinking.” It thus becomes a question of why God would even occasionally command such destruction. The Bible makes two significant claims about the people in Canaan. The first is that they were practicing idolatry and behaviors that had provoked God to action. “It is because of the wickedness of these nations that the LORD your God is driving them out before you” (Deuteronomy 9:5). The second is that God had been patient for centuries, indicating to Abraham in Genesis 15, that the Israelites would have to wait 400 years to possess the land because “the iniquity of the Amorite is not yet complete” (Genesis 15:16). Even when the Israelites began their march into Canaan, there was clearly no surprise among the Canaanites. In Jericho, Rahab and her family turned to God precisely because they had, “heard how the Lord dried up the water of the Red Sea before you when you came out of Egypt, and what you did to the two kings of the Amorites who were beyond the Jordan” (Joshua 2:10). Thus, God is pictured in the Scripture itself as a Creator sitting in judgment on His creation after a great deal of patience, and with adequate warning. D’Souza adds, “human sacrifice…was widely practiced by the Canaanite nations. When this is understood, God’s judgment of the Canaanites is reasonable.” Yet, despite placing the focus on the sinful practices of the Canaanites, and the patience of God, questions nevertheless remain. This reveals a key point. If a US President wanted to forgive someone for murder, they have the power to do so. Surely, there have been friends and associates that some presidents, and others in authority, have pardoned simply because they wanted to. Society, however, generally condemns such favoritism because it is viewed as unjust. It is notable that the Bible extols the justice of God who is likewise in a position of authority to pardon or condemn. “For all His ways are just; A God of faithfulness and without injustice” (Deuteronomy 32:4). It prompts D’Souza to say, “God can no more stop being just than he could stop being benevolent.” Thus, whether human beings see the value or not, whether human beings agree or not, God’s justice is clearly at play. In fact, the criticism against the Old Testament applies equally well to any of God’s commands for judgment. As one scholar said, “The horrors of Gehenna will be no less than those of Jericho.” It should be observed then, that most critics who condemn God for commanding the death penalty to an entire city in the Old Testament, are just as offended by God judging the earth in general. Nevertheless, to be fair, by definition God is in a unique position to implement justice. He is not in the same situation as an individual human being. As such, His behavior cannot be accurately compared to individual human beings. To do so is akin to accusing a jury of murder for sentencing someone to death. Positions of authority don’t merely allow, but often require, actions that would be unlawful for an individual. God is not acting as an individual citizen of the earth, but as the Creator with the unique responsibility for all humans, for all time. With the entire human race as His responsibility, it is certainly within God’s purview to execute judgment and enforce laws for the sake of others, just as any government would. Failure to do so would cause God to be unjust and unloving toward those He could have ultimately saved or helped through His enforcement of His laws. Just as any “good” government would be willing to protect society by war if necessary, God must also, if He is loving and good and just, be expected to take drastic actions necessary to protect humanity from whatever may ultimately destroy it. And even “just” wars are horrific. A final observation takes note that the Old Testament does not present the Israelites as taking God’s law into their own hands. On the contrary, the Israelites are pictured as obeying the orders of God in the same way an army obeys the order of its government. As a result, the Bible serves as a source for human morality, not because humans are to emulate God, but because humans are to be under God’s authority. Morality is derived from Scripture with the idea that God is on the throne, and that all humanity has a higher authority to which it ultimately must answer. Thus, when it came to Canaan, the Scripture describes that God had waited for centuries and allowed years of warning before executing judgment. Then by virtue of His position as an eternal God, and made necessary by His love of mankind and the requirement for justice, He was spurred to action against the Canaanites. The judgments against sin, while harsh, do not logically negate the inspiration of the Scriptures. Richard Dawkins, The God Delusion (London, England: Bantam Press, 2006), 247. Unless otherwise noted, all Scripture references come from the New American Standard Bible, 1995. C.S. Lewis, The Problem of Pain (HarperCollins Publishers Inc.: New York, NY, 1940), 33. Paul Copan, Is God a Moral Monster: Making Sense of the Old Testament God (Baker Books: Grand Rapids, MI, 2011), 170. Joshua Ryan Butler, The Skeletons In God’s Closet: The Mercy of Hell, The Surprise of Judgment, The Hope of Holy War (Thomas Nelson: Nashville, TN, 2014) 229. Copan, Is God a Monster? 177. James K Hoffmeier and Dennis R. Magary, Do Historical Matters Matter to Faith? A Critical Appraisal of Modern and Postmodern Approaches to Scripture (Crossway: Wheaton, IL, 2012), loc. 10593, Kindle. Butler, Skeletons in God’s Closet, 232. Dinesh D’Souza, What’s So Great About God: A Reasonable Defense of God in a World Filled with Suffering (Tyndale House Publishers: Carol Stream, IL, 2013), 203. Dawkins, The God Delusion, 246. D’Souza, What’s Great About God, 231. Victor P. Hamilton, Handbook on the Historical Books (Baker Academic: Grand Rapids, MI, 2001), 37. Butler, Joshua Ryan. The Skeletons In God’s Closet: The Mercy of Hell, The Surprise of Judgment, The Hope of Holy War. Thomas Nelson: Nashville, TN, 2014. Copan, Paul. Is God a Moral Monster: Making Sense of the Old Testament God. Baker Books: Grand Rapids, MI, 2011. Dawkins, Richard. The God Delusion. London, England: Bantam Press, 2006. D’Souza, Dinesh. What’s So Great About God: A Reasonable Defense of God in a World Filled with Suffering. Tyndale House Publishers: Carol Stream, IL, 2013. Hamilton, Victor P. Handbook on the Historical Books. Baker Academic: Grand Rapids, MI, 2001. Hoffmeier, James K and Dennis R. Magary. Do Historical Matters Matter to Faith? A Critical Appraisal of Modern and Postmodern Approaches to Scripture. Crossway: Wheaton, IL, 2012, Kindle. Lewis, C.S. The Problem of Pain. HarperCollins Publishers Inc.: New York, NY, 1940. But yet Christians claim to understand their god all of the time. It seems that its only when this god does something unpleasant to modern minds that suddenly they claim that no one can understand this god. That is curious. So how can one know what parts of the bible can be taken as written and which parts can be ignored, claimed not to mean exactly what they say e.g. what are metaphors, exaggerations and what is true? This seems to be a classic use of the magic decoder ring Christians have and which gives them entirely different answers depending on the version of their god they want to create. I’m sure there are Christians who claim to “understand their god all of the time” but the vast majority of people who follow Jesus use phrases like “growing in my faith” because none of us has everything figured out. As for the conquest not being as harsh, the author of the statement argued we have exaggerated by not reading carefully and that Joshua should be read in the context for that particular style of record keeping. My point was, while all that is probably true, there’s still some pretty harsh genocidal commands to come to grips with. CP, even if you claim you understand your god *some* of the time makes your claims problematic. Christians claim that they understand their god at least some of the time, and claim attributes for it. However, other Christians make those claims and get entirely different answers. Every religion and every sect of Christianity claims to have the “truth” and they have no more evidence for it than the next. We have Christians who claim their god hates homosexuals, and those who claim that this god has no problem with them. We have Christians who claim that abortion is wrong, and Christians who don’t. We have Christians who believe one certain day is the Sabbath and others who don’t. We have some who claim that the commandments should all be followed, some just the first 10 and other say that those commandments are not to be followed at all, only the few that JC mentions. I can agree that the vast majority of Christians do claim that they grow in their faith. The problem is that this growth does not lead them to any kind of agreement. There is no way to know which of you, if any, have the truth or have the only right way to interpret the Bible. It’s quite easy to read the bible and the excuse of not reading “carefully” is nothing more than claiming one interpretation is better than another, with no evidence to support this at all. Each sect claims that if one reads the bible “carefully” everyone would agree with them. This is obviously not the case. The bible says quite clearly that this god commanded the extermination of many tribes, murdering men women and children. It doesn’t say that this god only commanded killing a few or that only a few were killed. The biblical authors claim quite proudly that they annihilated thousands, in detail, and took thousands as slaves, including, as you know, virgin girls after killing everyone else. These prizes were required by this god for its share of the war booty. This is an example of what I said about having a magic decoder ring and every Christian coming up with a different answer. Many Christians of course, claim that those who don’t agree with them are not Christians at all. The problem is demonstrating this to non-Christians. I’m always up for an altar challenge. If one can excuse these actions by saying that the claims of the bible are wrong, then why is there any reason to accept anything the bible says? There certainly is no other evidence to support those claims. One can also say that the claims about JC are hyperbole. That puts a bit of a damper on the claims of salvation. It is indeed hard to come to grips with a god that commands murder. When I read the entire bible as a Christian, that certainly surprised me since pastors and priest don’t often mention these parts. The desire for murder and destruction is all through the OT and into the NT as well, with JC saying that it is a good thing to bring those who do not accept him as king before him and murder them, as well as the events claimed in Revelation. These actions put into question the common Christian claim that their god is “love”. This god doesn’t even fulfill the definition of love that the bible gives, a pretty decent one in my opinion. This god is also not just or fair for that would mean treating all equally and not condemning people for the sins of others. You invoke the claim that it is okay for your god to command such things because everyone was supposedly evil. There is little to no evidence of child sacrifice as claimed by Souza, and we do have sacrifice of people to this god in the bible itself. One has to wonder about how if it is good for the goose, why not for the gander? We also know that all enemies always claim that the enemy is evil and spread propaganda about it. All of the arguments that God can do what he wants is nothing more than the might equals right argument, just like any other argument from the era the bible was compiled. The following argument that “we were just following orders” is no more moral or palatable than those same excuses offered by those who murder others. Your god becomes no more than any other vicious despot, and there is no good or love to be seen. Only desire for power and obedience. I would assume you would not accept such excuses offered by humans. Why do you invent them for your god? So couple of things. You’re being entirely unreasonable when you hold up a 12-person/1 family extremist group as some sort of legitimate branch of Christianity. Spiritual growth DOES lead to more agreement. Happens all the time. In fact, churches are more unified than anytime in history. We go by names like Evangelical more than Methodist, and there are more non-denominational churches than ever. Reading the Bible carefully has nothing to do with imposing an interpretation. The Bible is filled with ancient documents written over a period of 1500 years, written in 3 languages, on 3 different continents, in different cultural contexts. If I wanted to impose my own interpretation, then there would be no reason for me to read carefully. Nowhere did I say the claims of the Bible are wrong. I didn’t claim God never commanded to execute judgment, I said clearly He did. You are exaggerating it by insisting your English language/2015 context should be imposed on 13th century BC military writing, but without a doubt, God ordered the deaths of men, women, and children. It is not hard at all to come to grips with a God that commands “murder” unless of course you have a hard time coming to grips with a president that sends troops to war or a police officer that shoots a terrorist. Your mistake is the same as Dawkins. You put God in YOUR position of authority and you don’t have the authority to shoot or order armies around. God is not in your position, however. He is not an individual subject to laws. He is the government that makes the laws, that enforces the laws, that can send armies to war. You will have the same problem with God regarding hell or judgment that you have with God sending the Israelites against Jericho. As such, your point, and Dawkins, is really not well thought-out in my opinion.